With last night's injury to Anthony Davis and the constant talk of a Davis-to-Boston trade, let's compare his rookie stats to Jayson Tatum's. This in no way suggests that Jayson is, or will become, a player as talented as AD. But there are enough parallels to compare the two players. Anthony has had a history of various injuries since entering the League, and he left the game against the Utah Jazz last night with what appears to be a left groin injury. Davis came in to the NBA at 6'10.25" and 221.8 pounds, while Jayson is 6'8.25" and 204 pounds. Davis has an amazing wingspan of 7'5.5", while Tatum's is a wide 6'11". Wingspan Differential is wingspan divided by height. AD's is a freakish 1.09 while Jayson's is 1.03. They both were drafted at 19-years old. The rookie minutes for both are similar, with Davis at 28.8 MPG and Tatum at 30.5. Their field goal percentages both hover around the 50% mark, while on three-point shots, Davis took six in his first year and missed all of them while Tatum shoots them at a 48.6% clip. Anthony was the better rebounder at 8.2 per game, and Jayson is averaging 5.3. The assist and steal numbers are quite similar at 1.0-1.5 per game, but AD blocked shots at a higher rate (1.8) as opposed to Tatum's 0.8. Why does all this matter? In most discussions of an AD trade, Jayson's name is mentioned. I see no vast overall difference in the rookie numbers. Davis is the better rebounder and shot blocker, while Tatum is the better free throw shooter (.828 vs. .751 for Davis) and three-point shooter. Their average rookie scoring averages are virtually the same at 13.5-13.7 PPG. Anthony has gone from 221.8 pounds as a rookie to 253 pounds. The physiques of both as rookies are similar and I expect Jayson to gain some muscle weight and get to a solid 215-220 pounds. 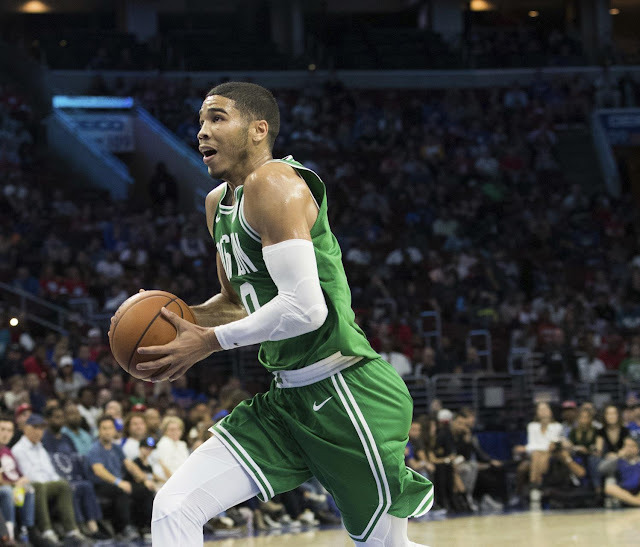 Anthony Davis took a big step forward in his second year in the League, and Jayson Tatum could very well do the same. He has the tools to do that. 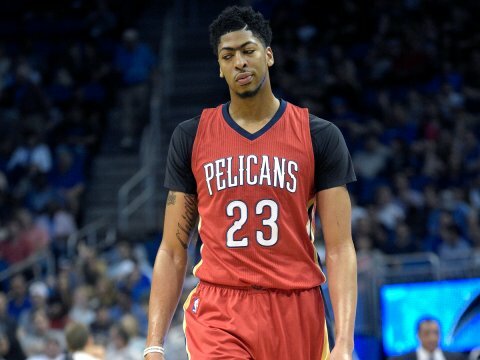 Davis just can't seem to stay healthy, and if Danny Ainge once had his eyes on AD, they may be gazing elsewhere. He may already have a near-comparable player on his team already. Jayson has "Star" written all over him.